With its stunning beaches, great scenery to bask in, happening nightlife, and milder winters, Cairns, Australia is a well-known haven for visitors both local and abroad. Want a few tips of exactly what you can check out when you’re there? Opt for a Cairns car rental to make this memory worth cherishing by taking a road trip. Here’s a look at what more you can enjoy while traversing through Cairns. 1. Fishing. In Cairns, you can take pleasure in the company of professionals who take fishing very seriously. There are plenty of guides and tours who can tell you all about the environment in these parts and the best places to place your rod. You can try catching a barramundi while here! 2. 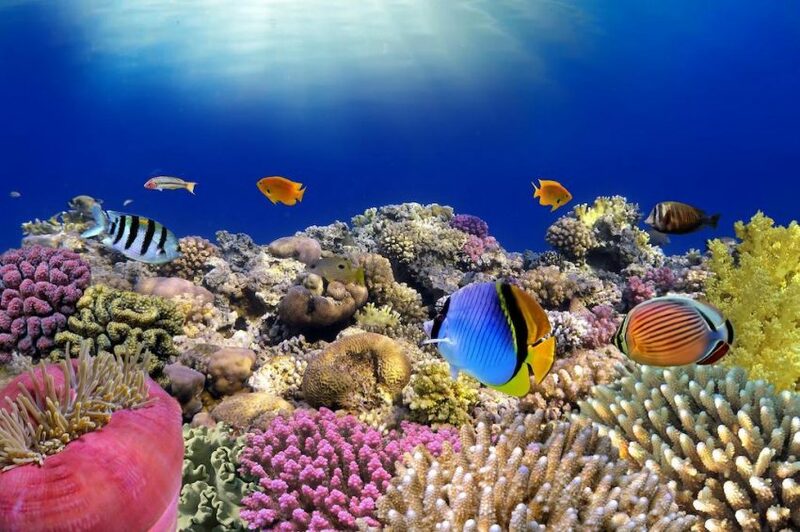 The Great Barrier Reef. This is the world’s largest coral reef comprising of 3,000 individual reefs and covering an area of 344,400 square kilometers. This is truly an experience of a lifetime that can’t be missed. You can cruise along the waters, snorkel, scuba dive, or simply lounge on the nearby beach. 3. Palm Cove. This is a seaside village that offers tons of aquatic activities like scuba diving, snorkeling, surfing, and kayaking. You can also spend some quality time in the 9-hole golf course, which is just a kilometer away from the beach. 4. Botanical Gardens. There is something special about the climate of Australia, and this botanical garden ensures that you get a view of the country’s most unique and exotic tropical plants. You can walk through the tracks and explore how native species of animals and birds make Australia a land of fantasy. 5. Tjapukai Aboriginal Cultural Park. Experience Australia’s rich cultural heritage that dates back 40,000 years. You can listen to stories, music, and witness beautiful tribal dances, all while roaming around this cultural center. 6. Kuranda Scenic Railway. With its 120 years old railway service, Cairns plays an important role in the modern history of Australia. You can complete a journey on this rail within two hours. 7. Daintree Rainforest. If you’re a nature lover, then you will find trekking up this rainforest irresistible! You’ll not only find abundance of flora and fauna in this region, but also a picturesque view of this country from above. 8. Dolphins and whales. Do you find intelligent, aquatic mammals particularly fascinating and majestic? Then Cairns is the place to be! The Great Barrier Reef happens to be a great escape for these cetaceans as they migrate to Australia from Antarctica and make a splendid sight for tourists and residents alike. 9. Cairns Night Markets. If you’re interested to take a souvenir, then you must pay a visit to these markets with your car rental Cairns service. They are open all throughout the year between 5 and 11pm and offer tons of food options, handmade souvenirs, and family activities. 10. Undara Volcanic National Park. You’ll be surprised to know that only 23 countries have lava tubes – Australia is one of them. This is a perfectly safe trip and you can even spend a night in a tent at this park to add a little extra adventure. If you’re a night owl on your way to choose from RV rentals San Diego, you will want to check out the Gaslamp Quarter. It’s a fabulous place to let your hair down and enjoy something new. There are many reasons why San Diego visitors make it a point to check out this neighborhood. If it’s your first time in San Diego and more specifically in the Gaslamp Quarter, we have compiled just a few of the must-do experiences while in town. Whether you’re here for a day or a week, these places and things to do will surely be good use of your time. While many will say that the Gaslamp Quarter is only for the party goers, there is something for everyone in one of San Diego’s favorite spots. Walk down the street and explore the glorious architecture. If you’re a big fan of architecture and more specifically of older buildings, then don’t hesitate to visit this area of San Diego. 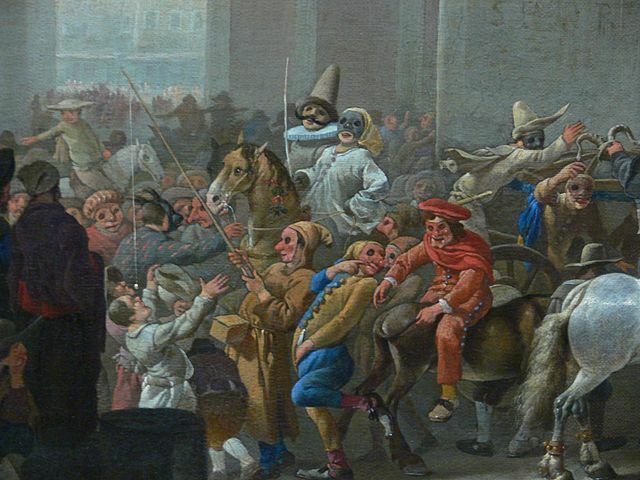 The Old City Hall is a favorite, as is the Baroque Revival Louis Bank of Commerce. Although really, anywhere you go in the Gaslamp Quarter will bring you back in time. If you’re not into the night scene, this is still a very valid reason to check out the Gaslamp Quarter. Visit during one of the many iconic events that take place here. From the Mardi Gras Parade to Comic-Con, there are several events that happen in this area of San Diego, on a yearly basis. If you’re a fan of participating in fun festivities such as the above events, make sure to research dates beforehand. The good news is that not one month goes by without there being some type of fun event happening in the Gaslamp Quarter. Whether work brings you to these parts or you have San Diego on your road trip itinerary, make sure to enjoy some off time at one of the many events. Go bar hopping during a night out. This is where the Gaslamp Quarter really shines. The night scene is unlike anywhere else and it is definitely a place for the night owls who love a good party. A good place to get your started is The Shout! House. It’s a place with a fun, lively atmosphere with musicians so talented that they get you enjoying the ambiance and music. Plus, you’ll be able to enjoy good drinks and food. Other places that bring in clubgoers in the Gaslamp Quarter are The Tipsy Crow, Whiskey Girl, and Gaslamp Tavern. Catch a play at one of the theatres. 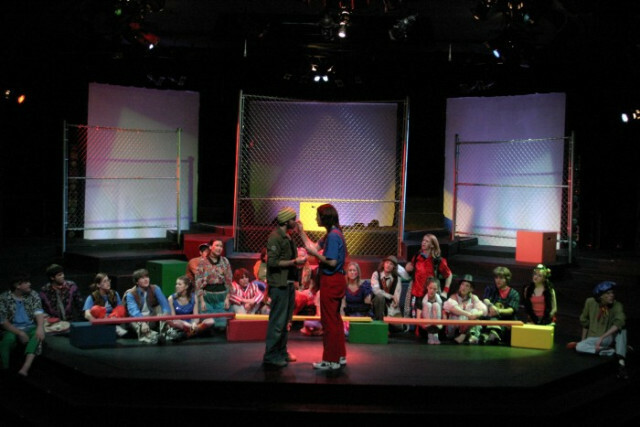 The Horton Grand Theatre and ArtsTix are two places to get you started. From musicals to heart-grabbing stories, the theatres in the Gaslamp Quarter are excellent places to enjoy time spent stepping out of your reality. If you’re traveling around in RV rentals San Diego, go ahead and park somewhere and enjoy the rest of your day on foot. You can easily get to the theatres in the Gaslamp Quarter on foot. Browse the art galleries and museums in the Gaslamp Quarter. Contrary to common opinion, the Gaslamp Quarter isn’t only for the partiers. It’s a perfect spot for the culture buffs who want to enjoy some time browsing the exhibitions and fascinating exhibits to be found at the art galleries and museums in the area. From Sparks Gallery and The Art of Tim Cantor to Michael J. Wolf Fine Arts and The New Children’s Museum, and more, there is plenty to see and experience for the art fanatic visiting San Diego. As you can see, for those who like to keep busy, there is plenty to see and do in the Gaslamp Quarter. It’s the perfect place for enjoying new experiences, getting to know San Diego’s nightlife vibe, and seeing some of the oldest buildings in town. It’s a place that you can enjoy on your own or a great spot for celebrating with friends. A sole traveler will have plenty to keep them entertained yet a group of pals will enjoy the sites together. It’s also the perfect place for planning that perfect date night. From good food to fun bars, art galleries, and theatre, what else do you need to have a good time? Whether you want to treat yourself or someone else to a memorable day, the Gaslamp Quarter is a must-visit neighborhood in San Diego. If you’re planning on checking out the RV rentals San Diego, make sure to start off your road trip in one of the best locations in the country. The Gaslamp Quarter is worth your time. Entertainment, culture, arts, and fabulous drinks; it’s the perfect place to start off an unforgettable road trip. 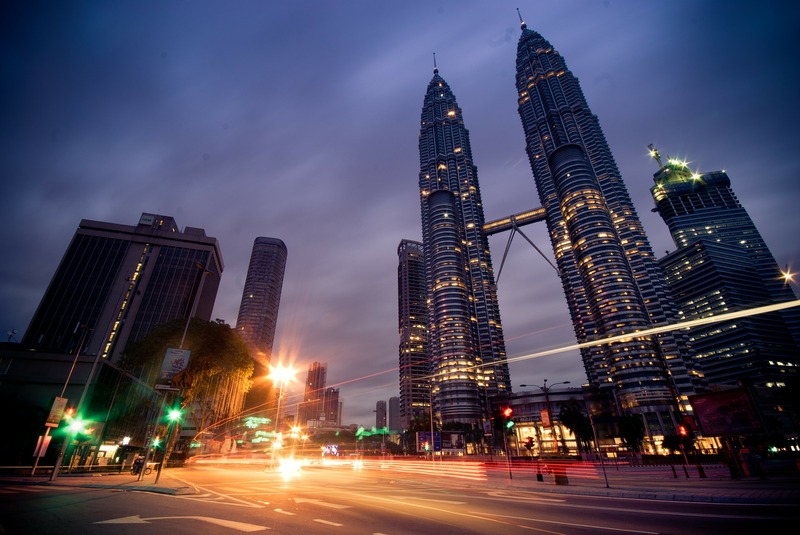 Petronas Twin Towers is a must to do when you are in Malaysia although you have to remember to book tickets in advance as there’s only a limited number of tickets are available for per day. Petronas Twin Towers is a must to do when you are in Kuala Lumpur. If you want to walk the Sky Bridge and see the observation deck, make sure you book your tickets on online in advance as they sell out fast. Be sure to visit after dusk to get amazing pictures at the base of the towers. If you are a senior citizen take a copy of your passport because they offer them for 50% off entry price. Night time is the best time for the visit as the lighting both on the towers and the grounds are excellent. The ride to the top (Sky Bridge) is a pretty magnificence. You can see the thick tropical forest, waterfall and the view of Langkawi shoreline are majestic while traveling on Sky Cab. It also stops on the way where you have the option to climb up and enjoys the terrific view. On reaching the top, you’ll have to buy another set of passes for the sky bridge. 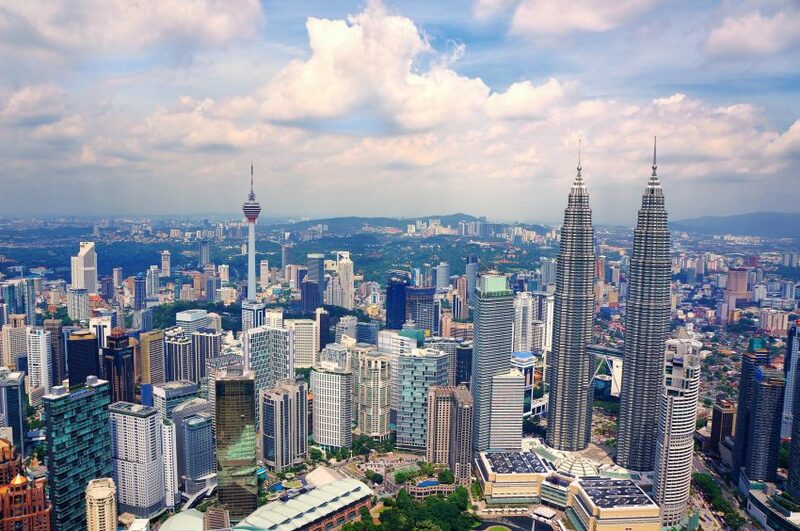 The views are breathtaking in Malaysia attractions. There are actually two sky cabs and both the routes are very long and beautiful. 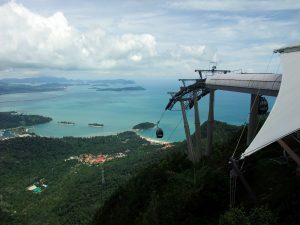 It’s highly recommended to try sky cab in Langkawi, its bit expensive but good to the experience. 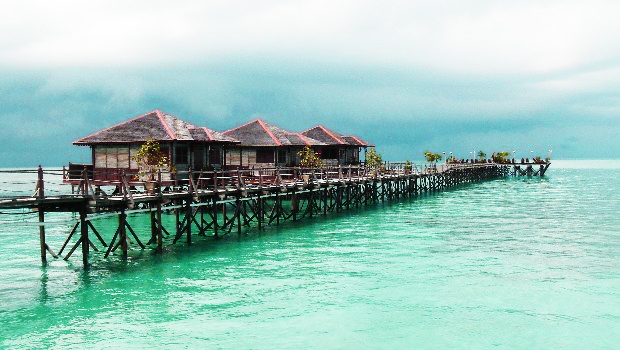 Sipadan National Park is the gorgeous Malaysian attractions. The place is definitely one of the best dive sites in the world. 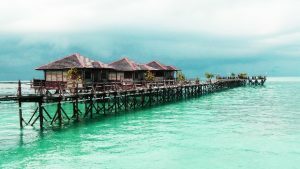 The name of Sipadan National Park is a simply legendary place for diving with plenty of sharks, turtles, and jackfish as well as loads of others sea species. Sipadan is breathtaking on a clear day, even when the brightness is poor, you can still see sharks and turtles everywhere. 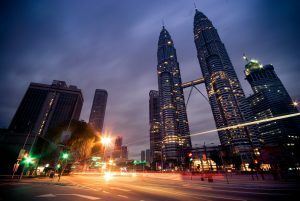 Most of the tourist recommended Malaysia tour for the wonderful experience and for your fantastic holidays. 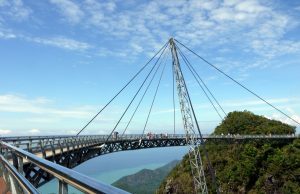 Sky Bridge in Langkawi is at the top of the Gunung Mat Cincang. You have to first take the cable car to reach the top of the mountain. The ticket costs for MYR 5, if you take the climb down or if you take the funicular, it costs for MYR 15. The Sky Bridge is an engineering marvel. The views from the Langkawi Sky Bridge are breathtaking. You have views of the sea and islands below on one side and of the mountains on the other. The sky bridge is curved and you feel an adrenaline rush walking along it and gazing at the spectacular views below. Make sure that you are going on a clear day or else you may not find the sky bridge or the views obstructed. Islamic Arts Museum Malaysia is one of the most popular Malaysia attractions and very interesting museum. Visit Islamic Arts Museum for who wants to know more about Islamic history and also to see a lot of old stuff from all times along the history. 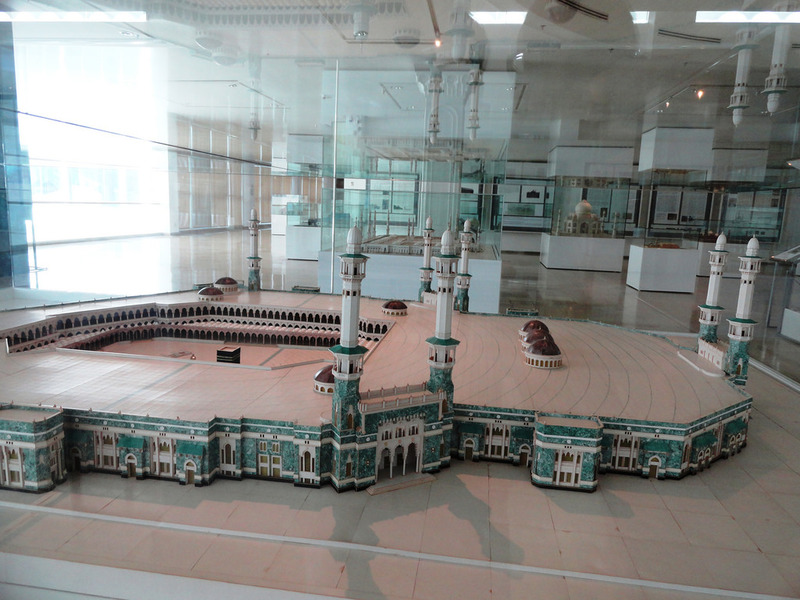 The scale models of the mosques from various countries were amazing. The shop is a hidden gem with an amazing array of books and souvenirs. It’s a great model of the big mosques from all around the world, examples of early Koranic text/scriptures and a great journey through Islamic history. Definitely, it’s worth for a visit without hesitation. Chicago is situated in the Midwest. It is a high-spirited metropolitan city comprising of around 3 million people. It is famous for house music, blues, jazz, comedy, shopping, dining, architecture, and fine cultural attractions. Architects such as Louis Sullivan and Frank Lloyd Wright, and artists like Picasso, Mirõ, Dubuffet, and Chagall having left their impressions over here. This place gives home feels and also known as hubs of Midwest. An attractive city that would blow your mind with its wonderful beauty. There are more than enough Chicago sightseeing places such as world class museum of art and science, sandy beaches, large parks, public art and probably admirable downtown collection of architecture around the world. This museum comprises of thousands of art works. It was opened in 1879 and situated in Chicago’s Grant Park. It is one of the renowned, ancient and largest museums in united states. Around 1.5 million visitors pay a visit to this museum per annum. There is more to see than what you can do in one day. So if you are planning a visit this city, don’t afford to miss this Chicago tourist attraction. Take out an ample of time for this place. All the art and literature lovers are always crazy to see the arts over here. It is situated in downtown Chicago edged by Michigan avenue. 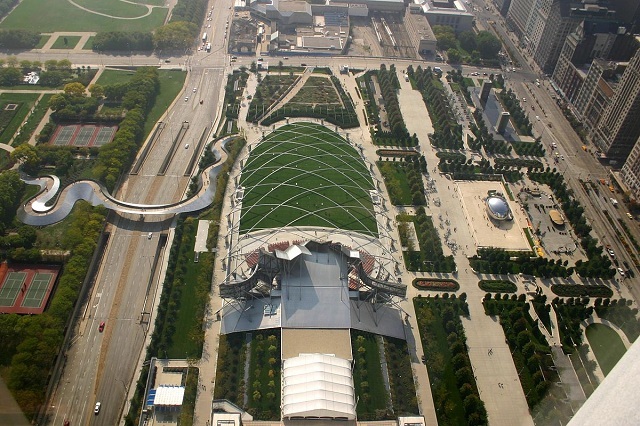 Millennium Park has emerged into one of the most important millennium assignments. It is a 24.5-acre park comprising of class art, music architecture, landscape design, where anything and everything can be experienced from interactional public activities and ice skiing to al fresco dining and classical music presentations. There is also a serene Lurie Garden which will blow your mind with its serenity. You can enjoy the outdoor gallery and take in a free outdoor show. It is one of the most attractive tourist attractions in America. It is a north-south street in Chicago. The magnificent mile is wrapped with a lot of things to do in Chicago, including tourist attractions and more than 50 landmark buildings. You must enjoy Chicago sightseeing, it’s well-known nightlife and does have a visit to downtown either by bus, boat or trolley. Some of its major tourist attractions are the John Hancock Center, the Wrigley Building, and the Tribune Tower. It was opened in 1916 as an amusement park zone and shipping facility. It is now one of the most major tourist attractions in Chicago. It covers 50 acres of distance including gardens, shops, restaurants, concert venues, and parks. This place also has a museum for children. It was reopened in 1995 and since then 180 million visitors have come to enjoy the experiences. All in all, if you want to have an amazing and thrilling experience with children, must come here. 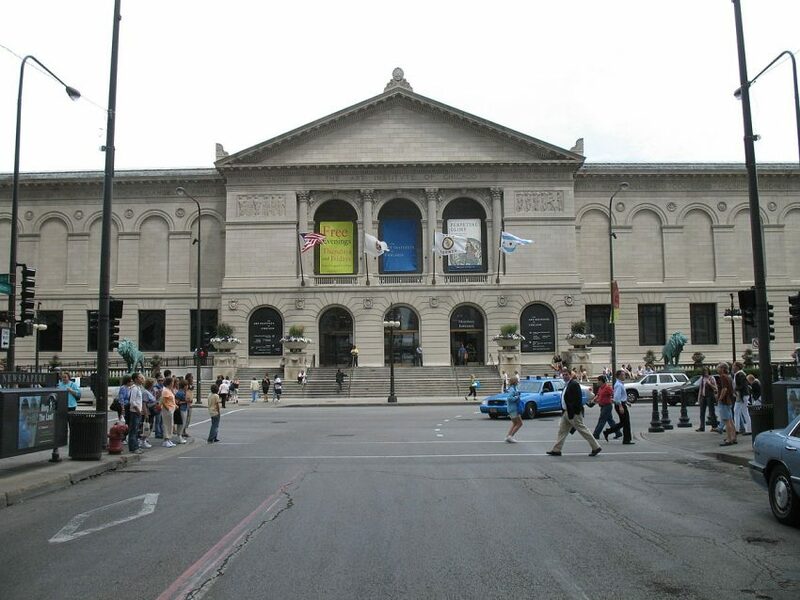 It originally is known as the Columbian Museum of Chicago and was founded in 1893. This museum displays the biological and anthropological collections accumulated for the World Columbian Exposition. It was renamed as honor Marshall Field. This is worth your money for the most part. The mummies and dinosaurs are displayed spectacularly. They had a beautiful gem exhibit. It is a lot to see! 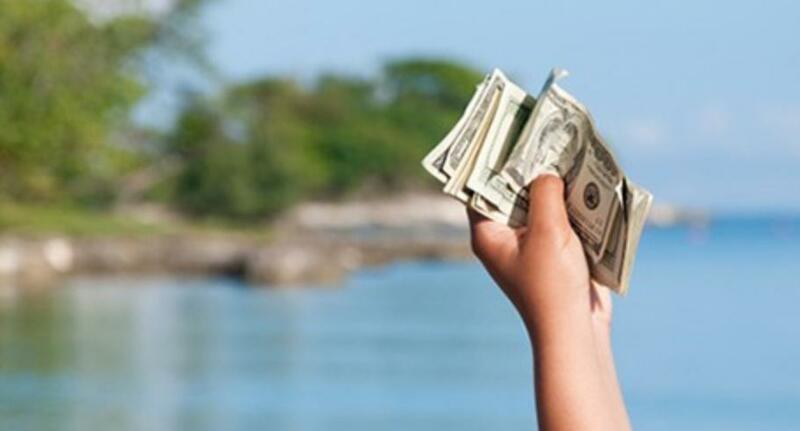 Can you Earn Money While you Travel?